MicroNokia's ongoing efforts to convince world+dog that inductive charging is a very good idea has just taken important strides with the release of a pair of electric pants. The product of British designer A. Sauvage, the pants are said to have “used the technology from the new Nokia DC-50 wireless charging plate”, a new inductive charging gewgaw that appears to combine a battery and a Qi charger. The presence of the rechargeable battery means one can schlep an inductive charger around instead of having to find one tethered to the mains. 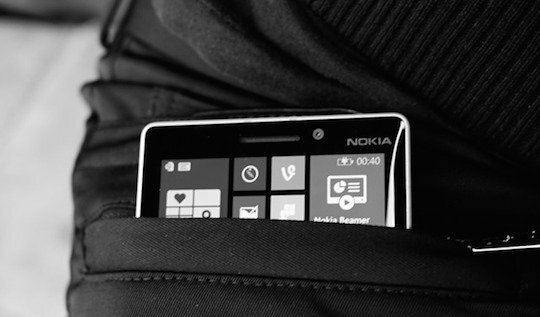 NokiaSoft says the pants are no mere fig leaf: it will soon be possible to order the garments on Amazon.